Still struggling with debt, gold miners Scott and George are back in Ghana in search of new territory to strike it rich. They’ve secured surprising new investors and despite having been robbed at gunpoint in their last stay in Ghana, they are placing everything on the line to try and find gold rich ground in a land they know holds gold. From the very start, George and Scott face dangerous challenges. They need to reclaim their equipment and prove to their investors they’ve got the chops to get the gold out of the ground. The daily drama is intense as they battle the muddy jungle, desperate illegal miners, and angry neighbors. George and Scott are determined to make this trip pay off, but will the intense conditions prove too much? Find out why they do what they do and what inspires them most on our in depth interview, where we go past their bios to bring you the real story. 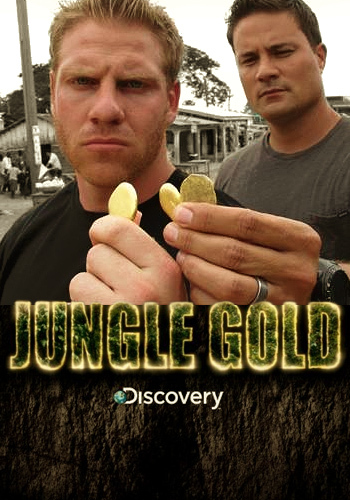 This Friday September 6th at 9pm eastern jungle gold will air on Discovery channel the two hour season finally that you will have to see to believe. Good job Kim, keep doing what you’re doing. good luck to you!